Grabbing my towel and clothes, I walked into the spacious bathroom in the home of my German hosts. I twisted the knob to turn on the shower and, to my utter horror, nothing came out other than a tiny trickle of ice cold water. Thus began the three most dirty and disgusting days of my life. Every morning and every night, my hosts told me they were working to fix the problem. Normally, I would have been fine, but I was on a time crunch: My boyfriend was coming in a couple days and when I saw him in the airport, I would highly prefer not to stink to high heaven. It was a good thing, too: Plan B was significantly less attractive: I planned to “accidentally fall” in the Spree River with my soap and then go to one of those cheap barbershops, where I could get my hair washed and cut for a whole 12 euros. These barbershops were some of my favorite places in all of Berlin. As I lived in a hipster area (with a great deal of Turkish and Lebanese immigrants), both the clientele and the barbers reflected that. My hair is fairly low maintenance – I don’t get it colored or cut in layers; so visits there were always a cheap, pleasant, and culturally enlightening experience. She had a point. After all, these barbershops certainly were in a different world: “There are literally hundreds of barbershops in town [Arusha], often more than a dozen in a single city block. Many shops are less than a hundred square feet in size, yet even the smallest must have a radio, if only to entertain idle barbers.” (page 2) While I thought she gave the author a little bit of a hard time (especially as she hadn’t read the book), her comments got me thinking about an idea I have entertained a great deal while reading about Africa: the lack of academic books about Africa written by Africans is a complete void for Western libraries - in order for us to gain a true understanding of unique and diverse African cultures and societies. 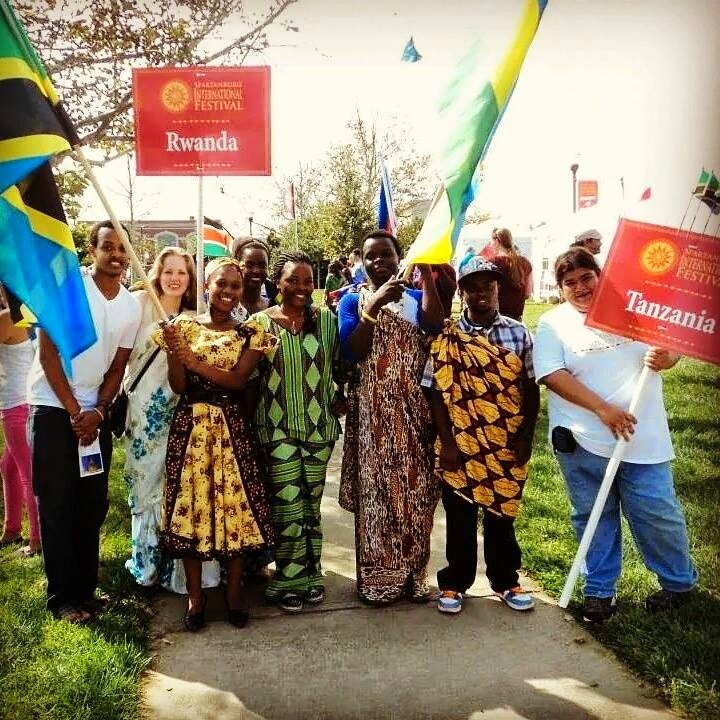 As Westerners, we try to connect Africans with our Western ideologies and concepts, where perhaps these are not inclusive enough to best represent them. This book is very dense and, to be honest, I would probably not recommend it unless the person was studying anthropology or pop culture in Africa. Several of the chapters feel as if they repeat information and I often felt as if the subjects and the subject matter were taken too seriously at times – it is a book about barbershops, after all. (It is worth noting that an actual name of one of the book’s chapters was “The Barber in Pain.”) That being said, I am happy that I read it – as it provided me a very interesting view into the country of Tanzania. To anyone in my generation, Tanzania is probably most famous for its Serengeti National Park – the location of The Lion King (which was my favorite animated film as a child and one of my favorite Broadway musicals as an adult, having already seen it live, twice.) Indeed, tourism is one of Tanzania’s most important sectors and accounts for an estimated 40% of its foreign exchange earnings. It is for the purpose of tourism that the author chose the city of Arusha as his subject. (The cities with central government institutions are Dodoma and Dar Es Salaam – located in the middle of the country and on the Indian Ocean, respectively.) In contrast, Arusha is known predominately as a tourist town: “The high tourist season in Arusha is absolutely critical to the entire Tanzanian economy. Arusha is the epicenter of the tourist industry, poised as it is at the gateway to the Serengeti and Ngorongoro Crater…” (page 54) Even more, Arusha has been in recent years the location of the International War Crime Tribunal of Rwanda and the current peace talks about Burundi. Subsequently, all of the inhabitants of Arusha have had exposure to Western affluence – whether it be to backpacking adventurers on vacation or UN workers. This conjuncture of the Western affluence and African reality – this relationship of inclusion and exclusion, as the author often says – is ultimately what this book is about. 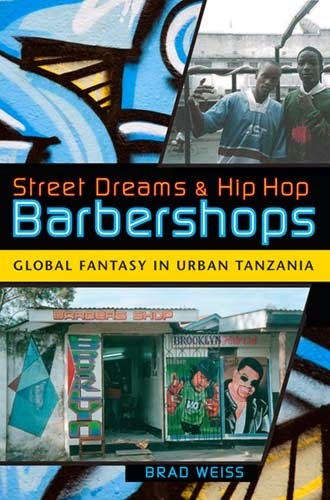 The author believes that we can see the manifestation of the normal Tanzanian’s global fantasies through these barbershops – laden with posters of movie stars and hip hop artists. The author also takes a very historical approach to his subject matter. Tanzania had very little colonization, as it was a part of the German East Africa before the German defeat in World War One. Subsequently changing hands to Britain, it obtained independence through a relatively peaceful process in 1961. Gaining the presidency in 1964, President Julius Nyerere called for ujamaa, a special form of African socialism through his 1967 Arusha Declaration. As a result and through its socialist alliance with China (rather than the USSR), Tanzania experienced difficult economic times during the 1970s and the 1980s. After more than two decades in power, Nyerere appointed Ali Hassan Mwinyi as the country’s second President.